Kale is low in calorie, high in fiber and has zero fat. One cup of kale has only 36 calories, 5 grams of fiber and 0 grams of fat. It is great for aiding in digestion and elimination with its great fiber content. It’s also filled with so many nutrients, vitamins, folate and magnesium as well as those listed below. Kale is high in Vitamin A.Vitamin A is great for your vision, your skin as well as helping to prevent lung and oral cavity cancers. 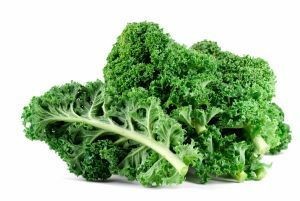 Kale is high in Vitamin C. This is very helpful for your immune system, your metabolism and your hydration.